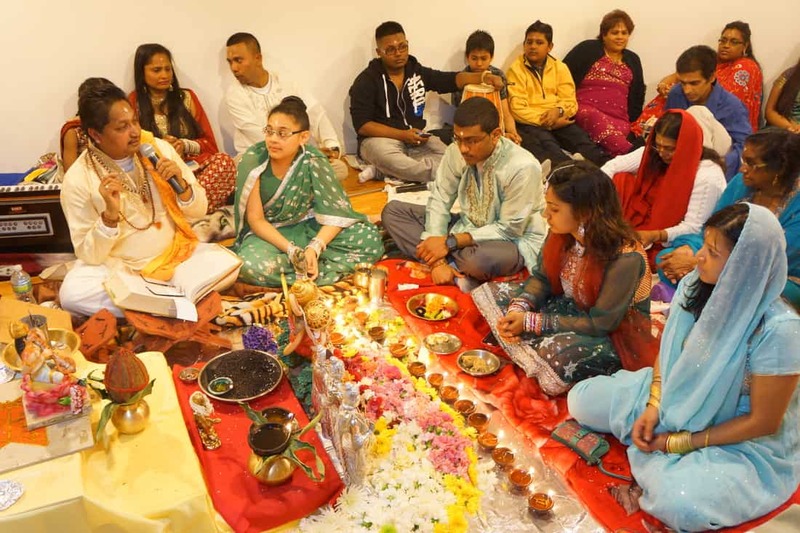 Pandit Krishna Indarjit, a son of Guyana, was born to humble parents in West Coast, Bush Lot and attended Mon Repos Primary School as a child. At an early age, he demonstrated compassion and deep concern for those around him. He soon followed the path to his religion and studied to become a pandit. As the years progressed, he migrated to the United States and again took up the torch of social and religious causes. Pandit Ji, as he is familiarly known, is the founder of the Sri Durga Mandir Brooklyn that’s located on Arlington Avenue in Brooklyn. 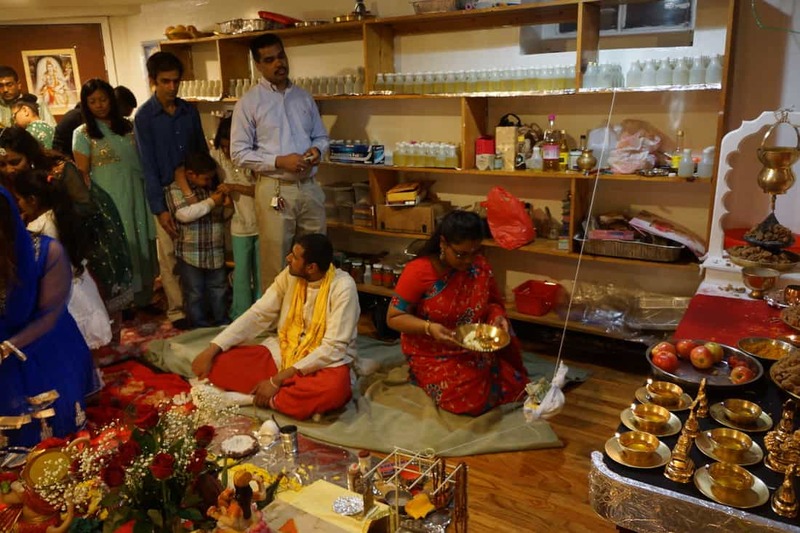 From its modest beginnings with a few members, the Sri Durga Mandir Brooklyn now has a membership of over five hundred and has the base for the work and mission of Pandit Ji. He holds Sunday school for kids of all ages, teaching religion, culture music and singing. These classes are available to the general public, irrespective of religion, race, color or creed. His care and concern for people and their wellbeing transcends religion, culture, and race. 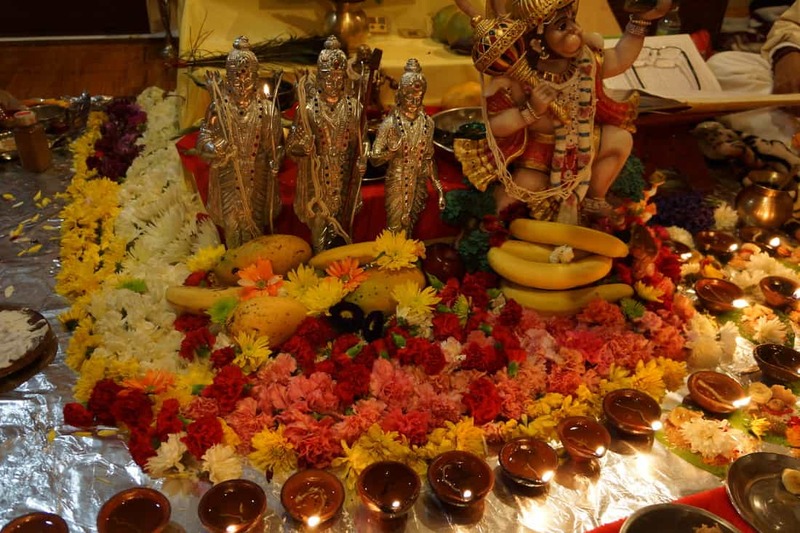 He is aware that people need to feel closer to their God and religion in times of emotional stress due to traumatic experiences and he takes the time to facilitate this. He visits the hospital regularly and prays on anyone’s behalf. His understanding of this aspect of human behavior had proven to be a valuable source of strength and self-healing for the afflicted. Many of his “patients” have thanked him and have been grateful for his encouraging words during their time of needs. 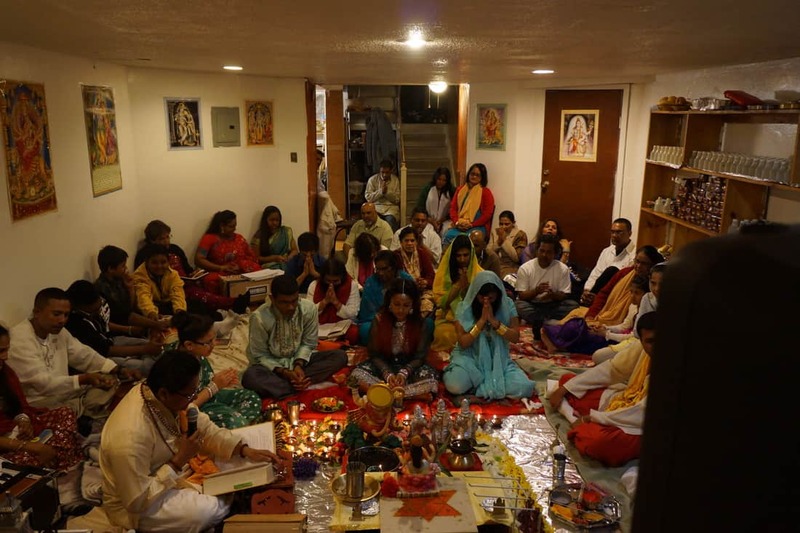 Pandit Ji has over 2000 Godchildren around the world, all of whom respect and admire him. Pandit Ji does not only pray for the sick, the homeless, and the destitute. He also recognizes that sometimes people make mistakes that may have dire consequences and that many do regret their actions. For this reason, he visits prisoners who are imprisoned for crimes they may have committed in rage or anger. He does not judge them; instead he consoles them as a father. He is so successful in this undertaking that many of the inmates look forward to his visits and his soothing words. These visits give him yet another opportunity to be of service to his community.He often has counseling sessions for runaway teenagers and adults, thus preventing the disintegration of many families. Pandit Ji’s involvement in the community goes beyond cultural and religious activities. 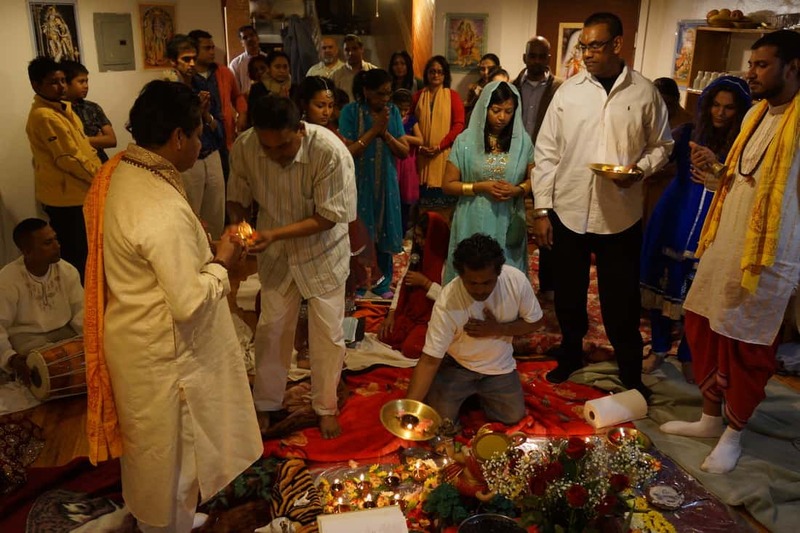 He periodically mobilizes members of his Mandir to clean beaches, especially the Rockaway Beach, since service to the environment is an important part of his vision of a better world for everyone. Pandit Krishna Indarjit is a leader in thought, words and deeds. He is what Hinduism calls a “Karma Yogi”, one who leads by his actions.